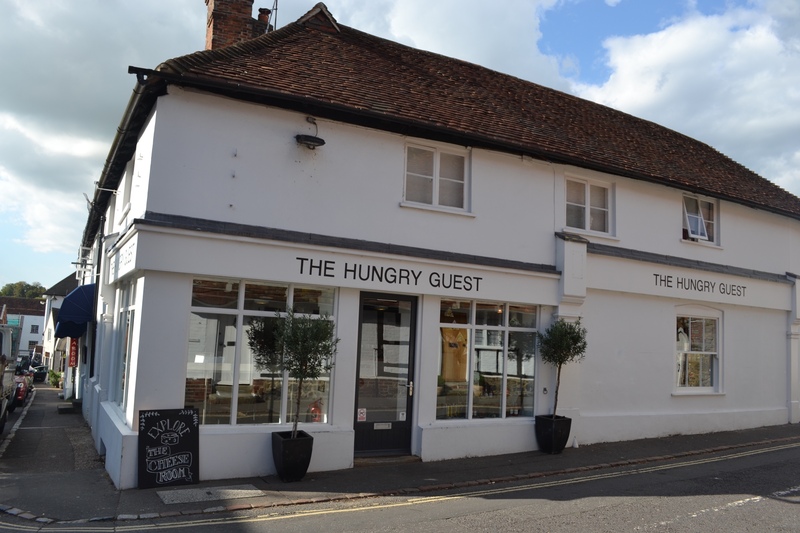 I’ve mentioned The Hungry Guest Café several times over the last couple of months. 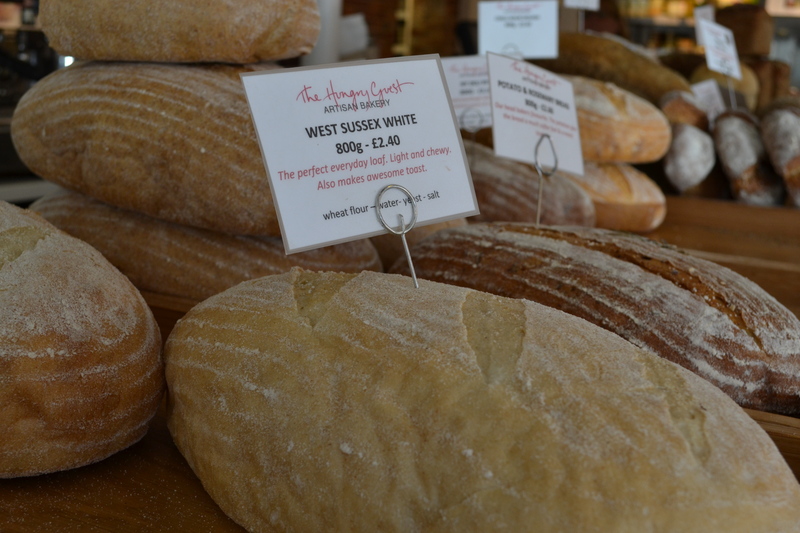 I first heard their name when I visited Salt Café at Wicor Marine in Portchester, some of their bread and cakes come from The Hungry Guest Bakery. 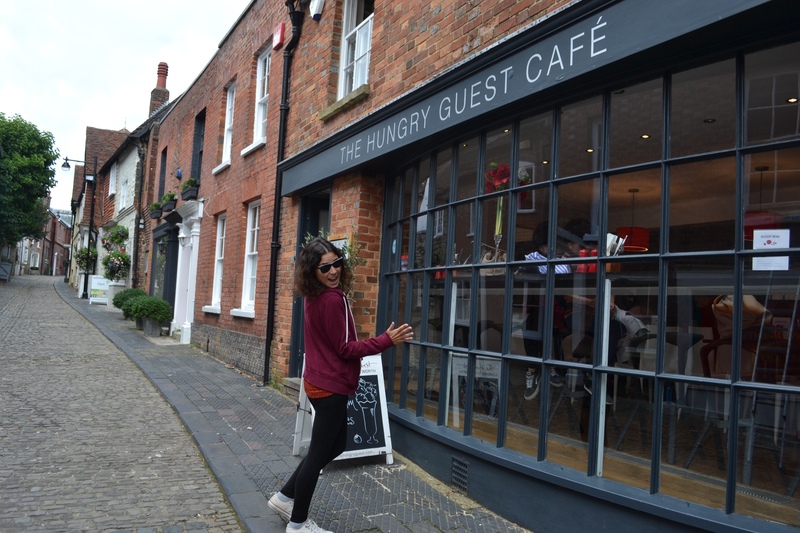 We were slightly disappointed when we first entered the café in Petworth, West Sussex. I’m not quite sure what we were expecting but it just didn’t have a cosy feel or much of an atmosphere – that ‘je ne sais quoi’. There wasn’t a lot on the menu of which we fancied either, we didn’t want a burger, a pizza or a salad. We left before even sitting down and went to have a look at what else was available in Petworth. 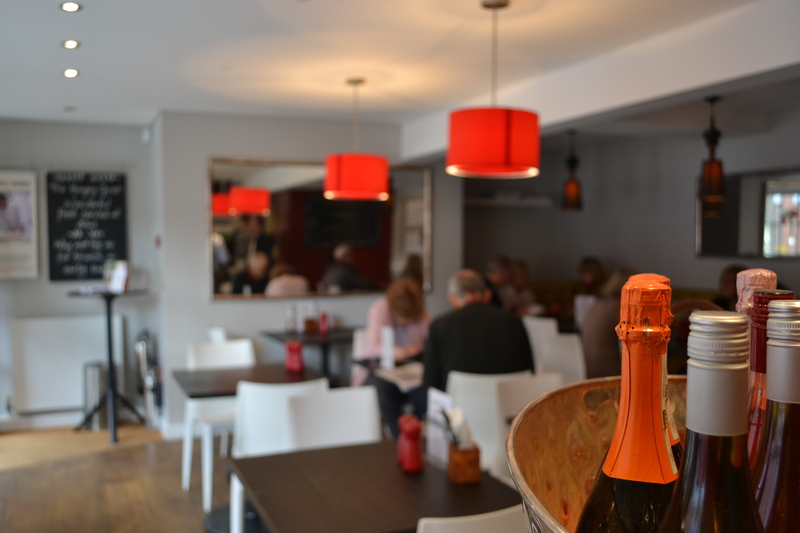 After much deliberation we decided to return – we had come from Portsmouth especially to visit the café after all. Inside, apart from tables and chairs there were also a few high stools up at the large front window to people watch – the café is situated in a lovely little cobbled street. Around a corner were a few more tables and then we saw the little raised garden and so we sat outside in the early autumn sunshine. 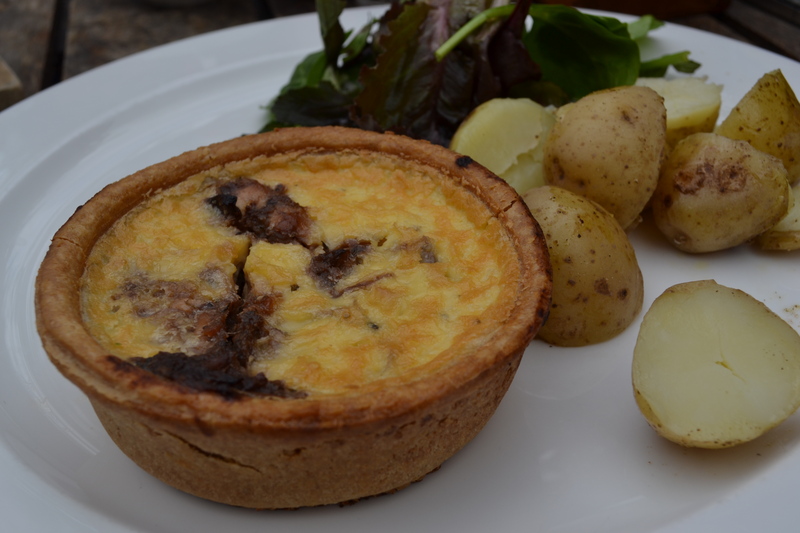 We browsed the menu again and finally came to a decision to share both the savoury tart of the day and the pulled pork sandwich which was on the specials board. I ordered a flat white coffee which was rather too milky and not terribly hot. It was ok, but it was really more of a latte. We didn’t find the staff terribly friendly or welcoming I’m sorry to say, although it got slightly better as time went on. 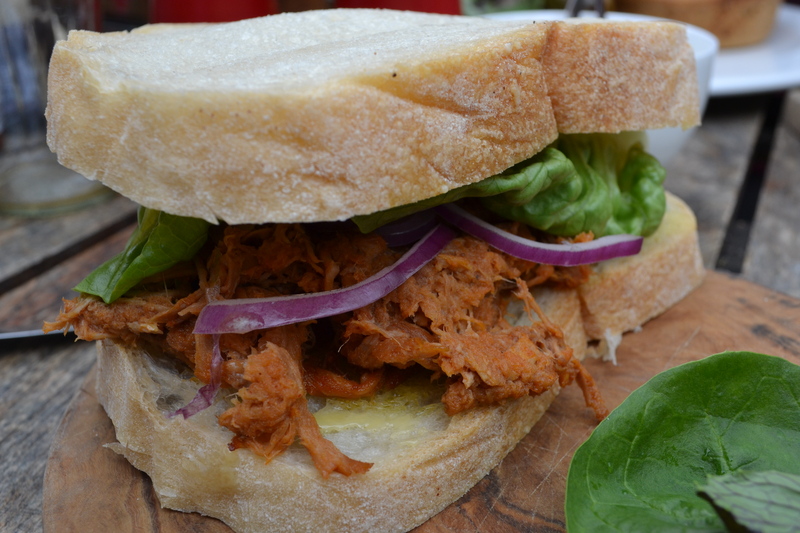 The pulled pork sandwiches were on lovely fresh bread – presumably their own, of course. The pork had a sweet and smoky BBQ taste, with a few fresh salad leaves and red onion inside the sandwich and on the plate (or should I say, wooden board). The tart – which I stupidly can’t remember what it was now – had a nice crisp pastry. This was served warm and was very tasty – oh wow, that rhymes. It came with new potatoes and salad leaves with a dressing. We did have rather a long wait for the food. After 20 minutes had gone by we commented to each other on how long it was taking and noticed that some people who were before us were still waiting too and it wasn’t particularly busy. 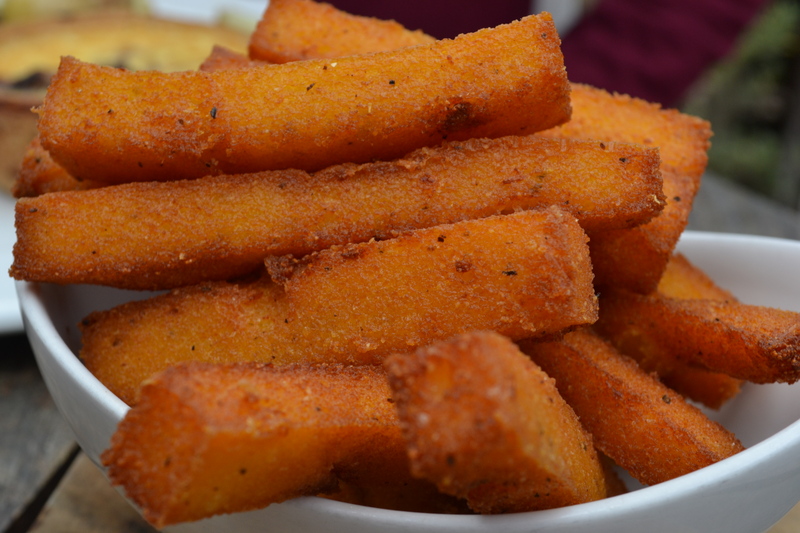 The polenta chips, which I’ve never had before but Helen has, were quite crisp and fresh and served with a sweet chilli dipping sauce. They were a bit bland and perhaps needed a little seasoning. It was nice to try something different, although I don’t think polenta chips are a favourite of mine. We didn’t have a dessert because we wanted to pop to their shop and bakery around the corner and buy some cakes to take home instead. Plus there didn’t appear to be anything much different from what we’ve already had at Salt Café, apart from ice-cream. 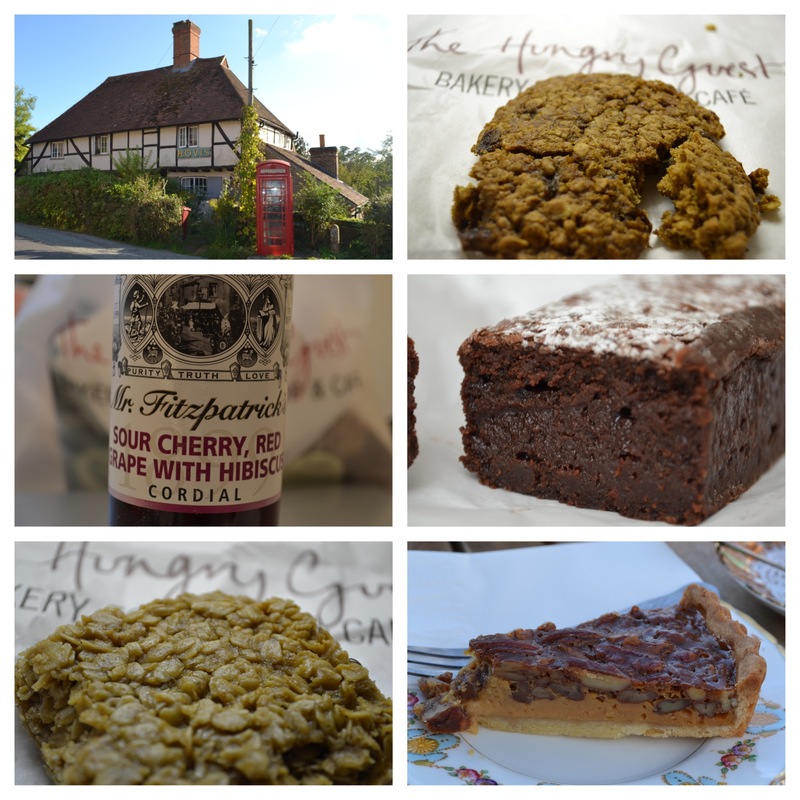 And this is where it gets better – I did like the bakery and food shop very much indeed. They even have a butchery department and a cheese room. 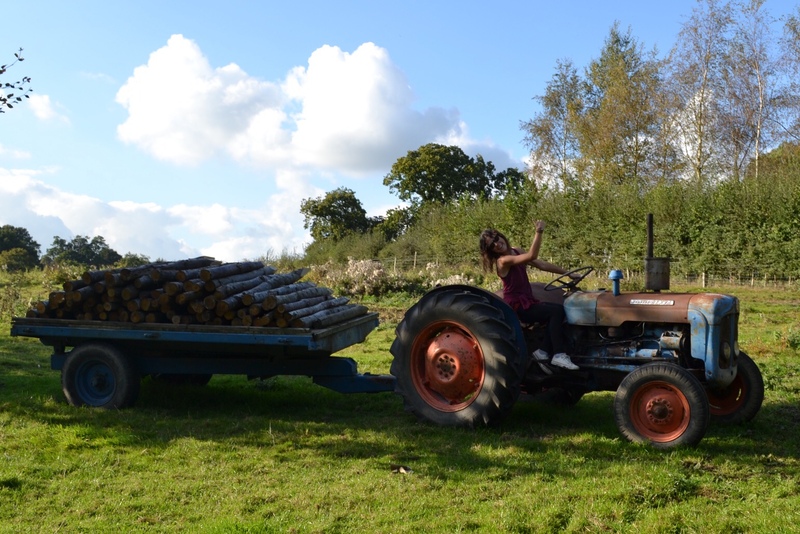 It reminded me a little of Daylesford Organic Farm in Kingham, Gloucestershire, which I loved. They had many different types of loaves available and I bought some West Sussex White bread which was wonderfully fresh and also some brown seeded sourdough. I quickly sliced and froze these when I got home, but they didn’t last long in the freezer, because we ate them within a couple of days. I do love good bread. The shop has lots of different and unusual items. For example, I was tempted to buy some lavender sugar to make biscuits with, but I thought if I did that then I would probably eat them all, so that wasn’t perhaps such a good idea. Lots of the fresh produce was local, the tomatoes I noticed, came from just down the road (well, almost) in Nutbourne near Chichester. 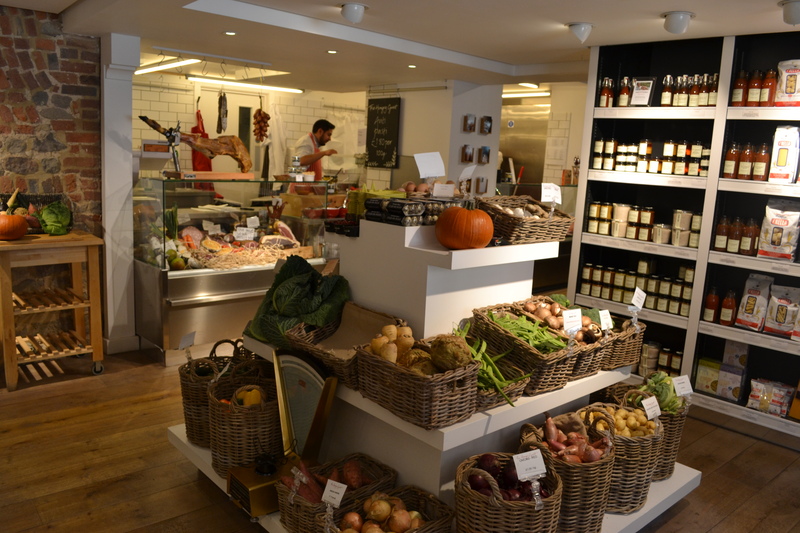 Lots of jams, pickles, biscuits, wine etc., a great place to buy something just that little bit different. We have already enjoyed their chocolate brownies many times (the best for miles around I can assure you), plus their pecan pie and bakewell tart from Salt Café, so we took home another brownie (we can’t resist them), a date cookie which fell apart quite easily making it difficult to eat, but it was rather tasty anyway and a very nice flapjack which tasted a little of fudge. I believe the same flapjacks can be found in The Loft at Sparks Yard in Arundel which we visited again very recently. 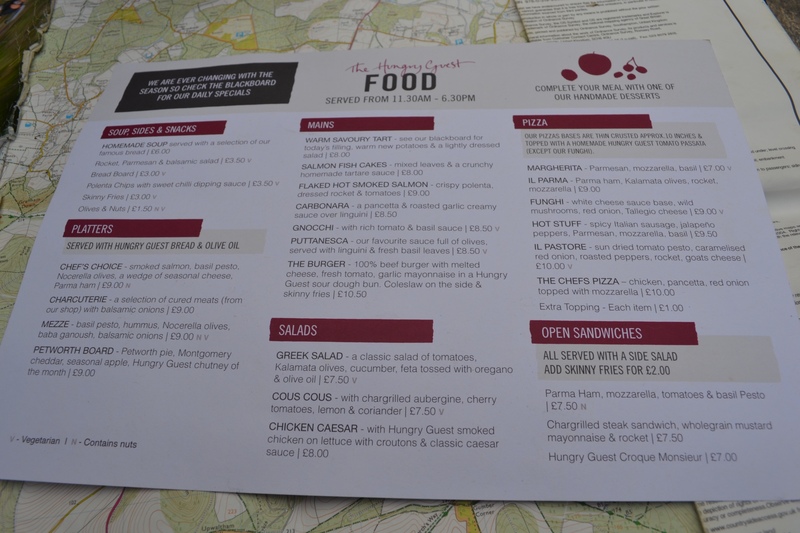 I was also pleased to see that they had Mr Fitzpatrick’s sour cherry, red grape with hibiscus cordial which I enjoyed so much at the Artisan Café in Chichester. That didn’t last long at home either, it was so delicious. 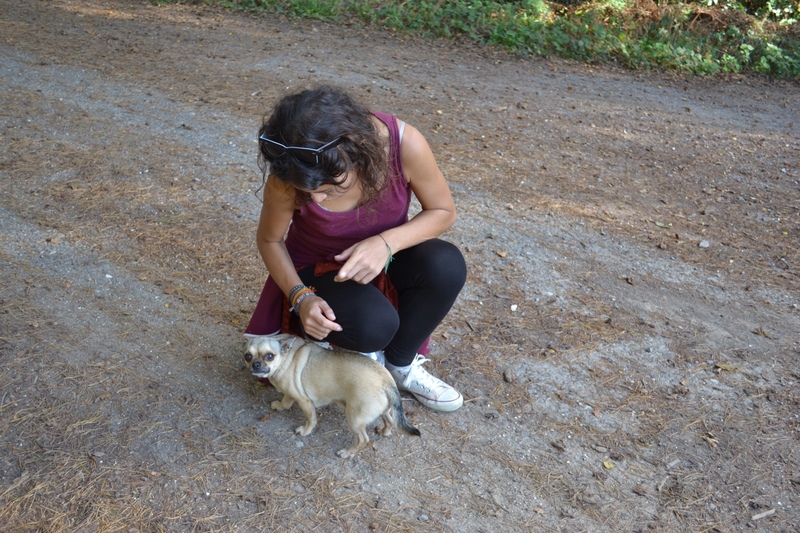 Afterwards we went for a lovely country walk across the beautiful Shimmings Valley where we met a friendly little dog (we named it Charlotte) who started following us. Of course there are also the grounds of Petworth House which you can walk around too and our annual ‘secret’ Spring walk which takes us all the way to Lurgashall and The Noah’s Ark Inn for lunch. Ridin’ me trac’or, ooh arr. To sum it up I can say that although I don’t think I shall be hurrying back to the café, I shall most definitely visit the shop again as their bread and cakes are excellent. UPDATE 02/03/2018: When we’re in Petworth we usually head for their deli/shop – see the map below – for cake and a coffee and bread to take home, we’ve not returned to the cafe since this post.